I was sitting at Season’s 52 with a friend, drinking a glass of deep, red wine and having an amazing time. We were laughing and telling story after story as we enjoyed the vibrant, alive atmosphere and the incredibly fresh, juicy, melt-in-my-mouth ahi-ahi sashimi. It was a wonderful evening. The stuff that memories are made of. Those conversations were utilitarian and stilted, like the way most business communication is today. They got the job done, but that is about it. Life is like that, you know? Some things are fun, and some things… well, aren’t. When you can really engage emotionally with people it is a lot better experience. They trust you more. They like you more. And it’s easier for them to make the decision to buy from you. And that brings us to a relatively new platform, that if you do it well, you will get that engagement effect. Now before you give me excuses and tell me you don’t ever want to go on camera, you need to understand how powerful this is. Facebook Live makes you come ALIVE to your followers like meeting up with them in a nice restaurant. You can interact with them through the chat function and have a great time! It’s a super powerful way to interact with people and believe it or not a super powerful way to sell products. And Facebook is prioritizing both videos and live, so right now, in Facebook land, if you want to reach more people then it’s a really good bet. Heck, one of my coaching clients, a local, home-town veterinarian increased her engagement on Facebook by thousands of people and even sold over $5,000 worth of products in 48 hours with just the power of Facebook Live. If it can work for her, it can certainly work for you! One of the things I see a lot is that everyone wants to have their ducks in a row before starting. Don’t bother. Nobody cares about perfection. Really. Just look presentable, have a decent background, and know what you are going to talk about. It doesn’t matter if you’re nervous or if you are average looking or if you aren’t a great speaker. Facebook Live is about being real, so be real. The only real rule here is not to be overly promotional. But mentioning the features and benefits of a product or service… that works well. People like to hear from you. My veterinary friend records every weekday. But it also works to record a few times a week, or even weekly (I wouldn’t recommend doing less than that). Pick a schedule and stick to it for at least 6 sessions. It takes a bit of work to get used to it, but by session 6 you won’t want to stop. It is THAT addicting and you will see results. Side Note: You can learn more about how I schedule my work day an earn six-figures online working 4 hours a day here. You are probably going to hem and haw and stutter the first time. Who cares? You may not like your outfit. Oh well. The enemy of good and making this work is trying to be perfect. It will get better with time. So learn as you go and you will see improvements over time. 4. PROMOTE YOUR BEST FACEBOOK LIVE EVENTS. This is a bit of a secret sauce here, but after you get some live events under your belt, it’s a good idea to do a paid promotion (“boost post”) of your best content. It already has social proof. It already has people Likes, Loves, and comments. 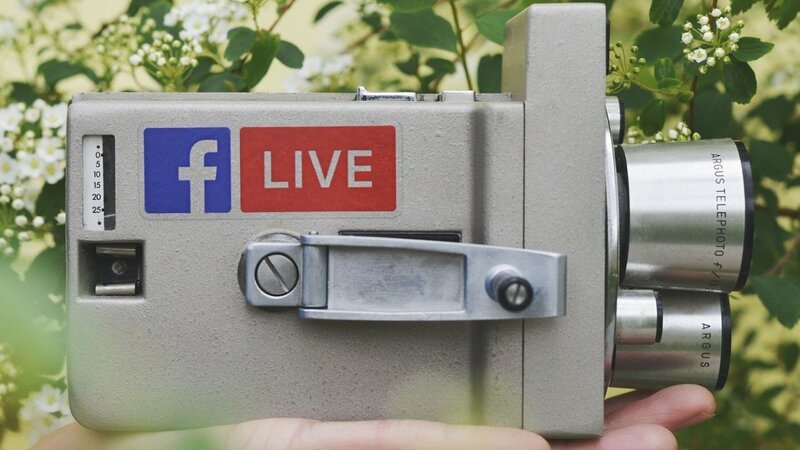 By paying to promote these Facebook Live videos which are now archived on your Facebook page you can get a lot more reach, more fans, and yep — more sales. Pretty awesome, huh? Just remember on Facebook to always, always, always start out with small, small budgets then scale up with what works. You’ll be glad you did. 5. FACEBOOK LIVE DOESN’T HAVE TO BE LIVE. This one is a little more on the technical side, but if you are overly anxious, then you don’t have to go “live” to be live. You can actually use a bit of free software to pre-record and then stream live. It’s called OBS or Open Broadcaster Software and it works like a charm. So if you’d rather not be live, it’s a great alternative. In the world of social media (and in the real world) engagement is the key. And right now Facebook Live is how to take advantage of that engagement to reach more people and increase sales on social media.